Under the direction and coordination of Capt. 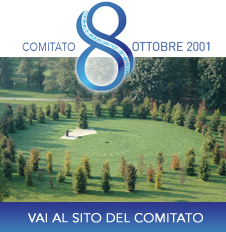 Arturo Radini, one of the most influential expert of Aviation Safety and Accident Investigation, the Technical Task Force intends, throughout its activities, to implement effectively the main mission for which the Foundation was set-up (the continuous improvement of Aviation Safety and the Protection of Passengers). Providing studies, evaluations, advice, comments, training, information and useful considerations, in the several areas of action, such as the constant enhancement of Safety awareness and the appropriate response to an emergency, e.g. an air accident, the Foundation has the main goal to keep high the attention on such important topics. As the Foundation is a no-profit entity, its Technical Task Force consists merely of volunteers who provide their services without remuneration. Any conflicting type of interest or other ends would definitely jeopardize the work of the Foundation and its credibility, even if independence, autonomy and impartiality have a consequence – not only in economic terms. Anyhow, it is because of its super-partes position that the Foundation has been capable of acquiring an unique and privileged position among the most important and influential worldwide Aviation Stakeholders.